At The Edge Of The Hill Country! 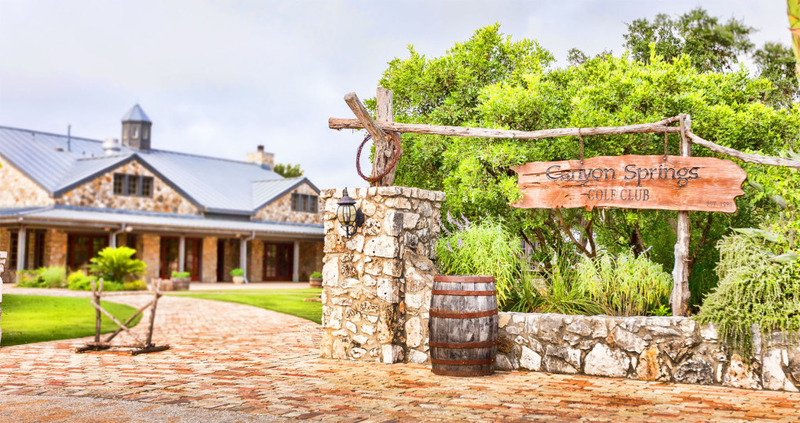 The Canyon Springs Golf Club, a country club in the San Antonio, Texas area, is a classic wedding venue with a country feeling. This location offers four venue options for couples to choose from, including waterfalls perfect for ceremonies or wedding photography. 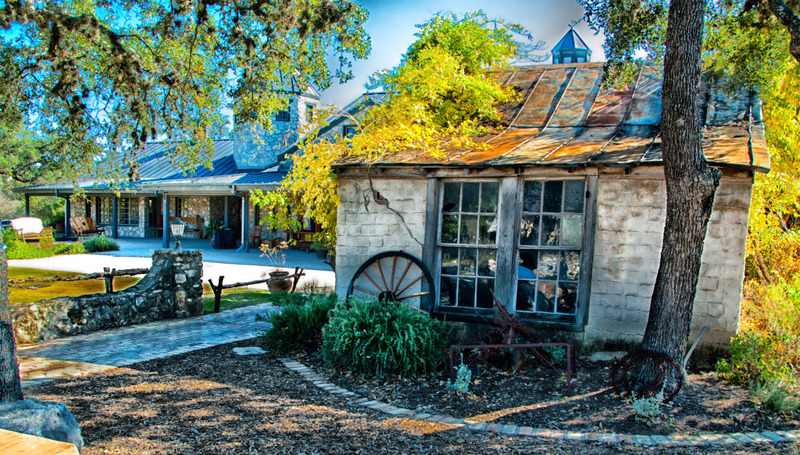 Couples can find this venue just 20 minutes from the San Antonio International Airport. This country club has space for up to 1,000 wedding guests. 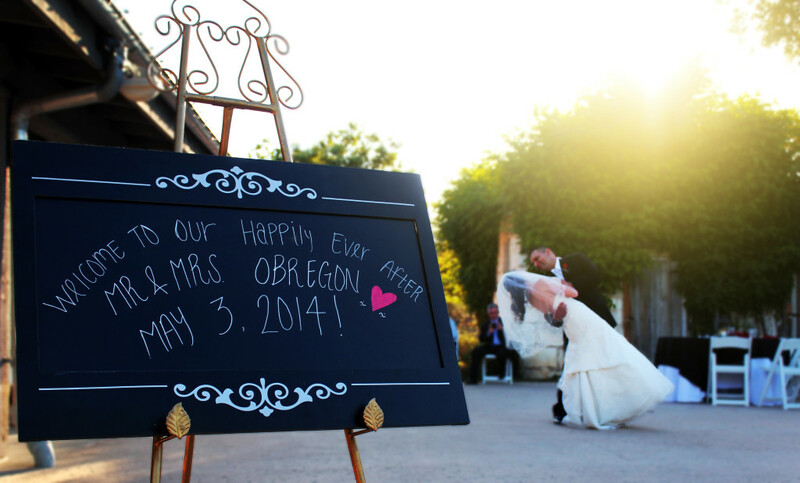 Couples have options, however, for weddings of all sizes at the Canyon Springs Golf Club. Outdoor ceremonies are the most popular. Couples can marry on the Clubhouse lawn for a ceremony of up to 300 guests. The stone exterior of the Clubhouse adds a touch of regalness to the wedding. Inside, vaulted ceilings and exposed wood beams, complemented by stone walls and a fireplace, bring charm and coziness to the venue. The Pavilion is a circular structure with a vaulted ceiling that peaks above the room’s center. The building, which features dark wood and natural stone accents indoors, stretches out to a patio of similar stone and green lawns. Ceremonies can also be held outside this space. 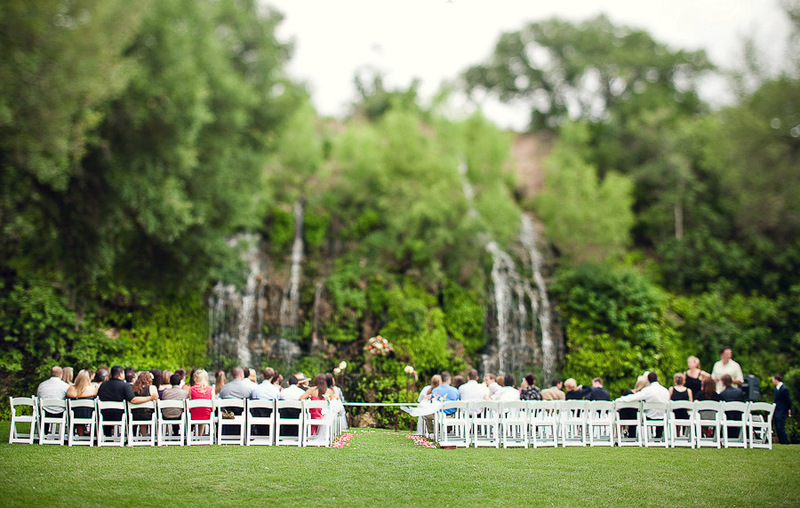 The Large Waterfall at the golf club makes a naturally gorgeous backdrop for a wedding ceremony. 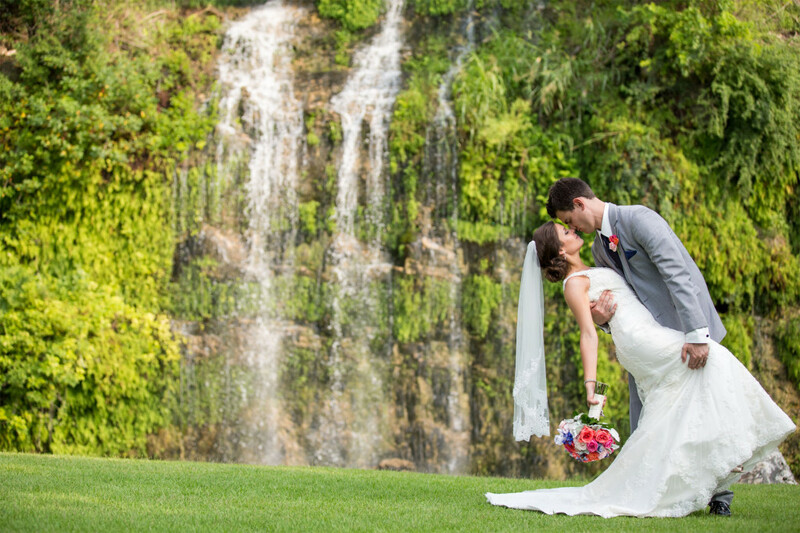 For ceremonies held at the Clubhouse or elsewhere, the waterfalls can still be used for wedding photos. Smaller wedding ceremonies can be held at the Small Waterfall, or it can be used for photos as well. We had an amazing time at Canyon Springs! Everything from the walk through, the planning, the location, and the service was outstanding. We met with Brenda, who helped us with plan our food, table settings, alcohol, etc. She was very kind and professional. Our day of banquet coordinator was Chi who helped keep the food and alcohol on schedule. She and her staff were amazing throughout the entire evening. The venue was beautiful, clean, and the we had compliments on the food and service from our guests. I would highly recommend it! The clubhouse (the smaller venue) fits 100 people nicely, and we really enjoyed having the use of the patio for dancing. Absolutely beautiful venue! The staff is wonderful and so attentive to your needs. They are great about keeping in contact with you and are available at any time to meet your needs. We had an amazing wedding there this year, we could not have asked for a more perfect day! We love love love Canyon Springs! The perfect location for our reception! Wedding was Renaissance themed so the Dining Room, with its stone walls and exposed wood, was a great setting. Meetings with Sales went well, questions answered promptly. They even followed up with us two weeks before, before we got to them! Banquet Captain Guillermo made some excellent suggestions at our last meeting for changes to the setup that made perfect sense, and worked with us day of on some small changes as well. The staff was super attentive, making everything so easy. Great selections and reaally good pricing for 56 people (and some kids).